Surrey’s LRT Costs Skyrocket – As Planned? And now, the real story. There is a growing number of politicians who want to build with SkyTrain instead of LRT in Surrey. What they ignore at their own peril is that SkyTrain will not cost $1 billion more than LRT to build, but it will cost over $6 billion! TransLink has neglected to add the $3 billion or so on refurbishments needed for SkyTrain before it can be extended to Langley. All stations must have platforms extended to 120 metres to allow for longer trains and have more entrances and exits added to cater to higher volumes of traffic. The electrical supply must be renewed and upgraded, to handle capacities beyond 15,000 pphpd. The automatic train control system must be upgraded to allow shorter headway’s with about 10,000 km of cable to be replaced, just on the Expo line. All switches on the Expo line must be replaced with faster switches, in order to meet the new closer headway’s. Sections of guideway on the old Expo Line may need to be repaired or replaced. A new source for vehicles must be planned for as Bombardier may shut down the ART production line at any time. The cost of refurbishment is now said to exceed $3 billion and no money is budgeted for this. If the $3 billion Broadway SkyTrain subway is built, it will push back any thought of extending SkyTrain until the mid 2030′s, as the $3 billion refurbishment of the ALRT/ART lines must be done before any thought of extending SkyTrain in Surrey/Langley. This also gives insight to why LRT is being built in Surrey, transit customers and taxpayers will get a far bigger bang for their transit buck with light rail. So, politicians and taxpayers in Langley and Surrey must face a Hobson’s Choice: take LRT now or no transit improvements until the mid 2030′s at the earliest! When TransLink CEO Kevin Desmond finally released the new, inflated costs for the Broadway subway and Surrey-Newton-Guildford light rail projects at the end of April, he refused to reveal the latest estimate for the delayed Surrey-Langley line. Even though Desmond and his team at TransLink’s Sapperton headquarters had in their possession a July 2017 report by veteran SkyTrain cost estimator Anthony Steadman. TransLink changed its tune this week and released a report to theBreaker under the freedom of information law that includes separate estimates for an LRT line and SkyTrain line to connect Surrey and Langley. Steadman estimated the cost of an LRT project beginning work in 2022 would be $1,949,248,444 — $700 million more than the $1.22 billion figure put in front of voters before they rejected funding TransLink’s expansion in the 2015 plebiscite. If the project goes ahead in 2022 with SkyTrain technology, it would be another billion at $2,914,798,721. The LRT scenario contemplates 13.264 km of in-street guideway and 2.967 km of elevated guideway, using 19 articulated low floor LRT vehicles, each 40 metres long with a capacity for 250 passengers. The report identifies nine stations at King George, 140th St., .152nd St., 160th St., 166th St., 68th Ave., 64th Ave., 192nd St. (Willowbrook Exchange) and Langley Terminus. A long list of 15 costs are excluded from the LRT scenario, such as: financing costs beyond the construction period; re-routing of existing transit services, either temporarily or permanently; street works beyond the transit routes; physical barriers at LRT street crossings; park and ride facilities; bus loops (other than street facilities at Willowbrook Mall and the Langley Terminus); work to the existing Serpentine River Bridge; operating costs; and GST. A SkyTrain line from King George Station to Langley Centre would have eight elevated stations and a 15.737 km guideway. The report said it would require 55 vehicles, equivalent to fourth generation SkyTrain vehicles slated for the Expo and Millennium lines. On April 30, Desmond and vice-president Sany Zein unveiled new cost estimates for the Broadway subway and Surrey-Newtown-Guildford LRT. They are now $2.83 billion and $1.65 billion, respectively — up from the 2015 estimates of $1.98 billion and $920 million. Desmond and Zein cited the rising costs of real estate, labour, materials and equipment for the huge increases. For more than two years, theBreaker had sought the cost estimate updates, yet TransLink and the provincial government consistently denied FOI requests or censored the costs from documents that were released. Likewise, none of the officials would comment, even though the TransLink Mayors’ Council had been briefed on the numbers behind closed doors. On June 28, the Mayors’ Council and TransLink board of directors approved a plan to build the Broadway and Surrey-Newton-Guildford projects. TransLink has $2.01 billion in federal commitments and $2.55 billion from Victoria. The remaining $2.71 billion for phase two of TransLink expansion is coming from fare increases and higher taxes on property, fuel, parking and condo development. All of this, after the NDP government stepped-in and took over the $1.3 billion Pattullo Bridge replacement project from TransLink. It is par for the course, according to the research of a prominent academic. Bent Flyvberg, a business professor at Oxford University, has analyzed megaprojects around the world. “Overruns up to 50% in real terms are common, and over 50% overruns are not uncommon,” his research has found. Why? Because architects want visually pleasing products and engineers are excited by building the longest-fastest-tallest. Politicians have a tendency to want monuments that benefit themselves and their cause. Business people and trade unions want revenue and jobs. I predicted an LRT extension to Langley would cost around $2.0-$2.2 Billion and a Skytrain Extension about 3.2$ Billion however, my Skytrain price also includes a small, around 50-60 vehicle capacity, satellite light maintenance and storage facility for Skytrains, somewhere along the extension to Langley. Each year that there is a delay in planning or building and therefore guaranteeing the building costs, the price is growing by roughly $45-$65 Million on that LRT line and around $88-$120 Million on the Skytrain extension. This is just on the increasing costs of reinforced structural concrete (about 7.5% per year), and simple market based inflation (currently around 2.5% a year)! The big difference in the individual cost increases is due to the massive differences each project use of steel and concrete. Surface LRT just uses a lot less of these building materials. 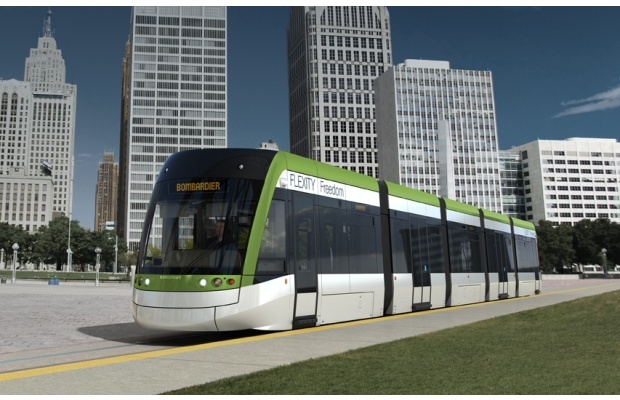 With Alstom building a LRV factory in Southern Ontario and with Bombardier expanding its already growing brand new LRV facility in Milhaven (near Kingston, Ontario) you also get direct Canadian competition for the production of Light Rail Vehicles, which will lower bidding costs! I have been told by another source down South, that there are some very expensive issues with SkyTrain that need to be dealt with by TransLink. Have you hears of issues with the MK.1 cars? I also have been told that TransLink has all but lost interest in expanding SkyTrain in Surrey/Langley and now concentrating on a full subway to UBC! It seems the feds will pay a good portion of the costs. The only issues I have heard about the Mk. 1 cars are technical and technological, mainly due to the age of the equipment and on going reliability problems. I wish TransLink would be a little more public about the reality of the Skytrain line extension to Langley. I have been very heavily attacked on other sites when I stated the most likely end capital costs of that line. The fact that I predicted the stated costs of many Skytrain line extensions to within 5-10%, after being told I didn’t know what I was talking about, has led to some strange accusations online. Maybe I should go to carnivals and guess people’s weight, I might make more money that way! I will say that currently, an extension of the Millennium Line from Arbutus to UBC will cost between $3.6-$4.2 Billion assuming it’s built right after the initial section and the number of stations don’t increase. However, if there is any kind of delay in the project the costs will go much higher. Simply due to unpredictable inflation levels. Zwei replies: Ah, I see you have had a taste of what it is like to state the obvious in BC. I used to get threatening phone calls at 3 am, hence my avatar. Translink has released the independent report made in 2017 comparing costs between LRT and Skytrain. The Hatch Preliminary Cost Estimates Report. report is heavily censored, but it does give some idea of the costs and scope of project. Cost to extend skytrain to Langley in 2016 $2.4 billion, in 2022 $2.91 billion. It would include a new maintenance storeage centre in Langley. Cost is not much than LRT and Skytrain has higher capacity. The LRT that translink wants to build will have 40 metre platforms and each train carry maximum 250. This is worse than Canada line with 60 metre platforms. Translink wants to make the same mistake again. Maybe it is better to spend more now and get higher capacity for longer term population growth. Translink says Surrey and Langley are among the fastest-growing communities in the Lower Mainland. Translink does have plan to upgrage capacity of existing expo line. This needs to be done regardless of which technology is used in Surrey. LRT or Skytrain will feed additional passengers on to the expo line. Any report done by TransLink is suspect. Light rail costs anywhere from one half the cost of SkyTrain to build, to one third. TransLink inflates costs with massive gold plating and erroneous charges. LRT does have a greater capacity than SkyTrain and always did. It is one of the many reasons real transit experts build with LRT and not SkyTrain. As modern trams have lengths in excess of 40 metres and it is common to operate coupled sets, TransLink’s concept of 40m long platforms is nothing more than high farce. By the way, the Canada line has only 40m long station platforms, which can be extended to 50m. Your last statement is utter nonsense. as SkyTrain has proven in the past 40 years that it is the inferior transit system – no one wants the damn thing. You have been ill informed by TransLink, which is completely dishonest with current transit planning. The report was not made by Translink. If you look on the 2nd page of the report it says report prepared by Anthony Steadman & Associates Inc. 1063 Newport Avenue, Victoria, BC. and Steer Davies Gleave & Hatch Joint Venture 970-355 Burrard Street , Vancouver, BC. The lrt capacity will be limited 250 persons per train. Skytrain has 500+ person capacity with newest mk3 trains in 4 car sets on the expo line. Report says all stations will be 40 meters. It will be impossible to have lrt longer than 40 meters. You should take the time to read the documents released by Translink before you criticize them. You are right saying skytrain extension will cost more but capacity will be doubled. Sorry, this crap should be reported to the Engineering Society, through they are firmly in bed with the SkyTrain Lobby. Funny that stations with platforms longer than 40m is impossible with LRT, yet in Ottawa, the station platforms are 120 metres long. Just a note: Langley 52687 has the same IP address as SurreyRider, Rocky and a few others. Sorry sunshine, you bin caught out.